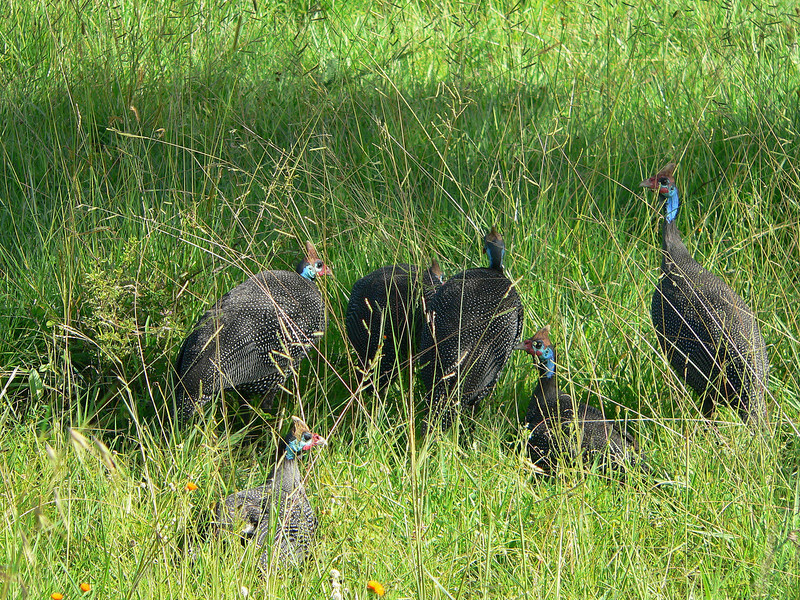 Some Helmeted Guinea Fowl along the roadside en route to Migration Camp. The slate-grey plumage is finely spotted with white; the face and neck are naked and blue and the naked crown is a bright red. On the top of the head there is a vertical, horn-coloured bony casque.